Scent Description: Lavender, cookies and frosting. Location of Warmer: Living room, in tealight warmer. Cold Sniff: 5/5 Sweet and delectable bakery style lavender. Scent Throw: >3/3 This filled the entire living room, sun room, hallway, and part of the kitchen/dining area. Melting Power: 5/5 I got about 8 hours from half of a tart cup. I love this one too. 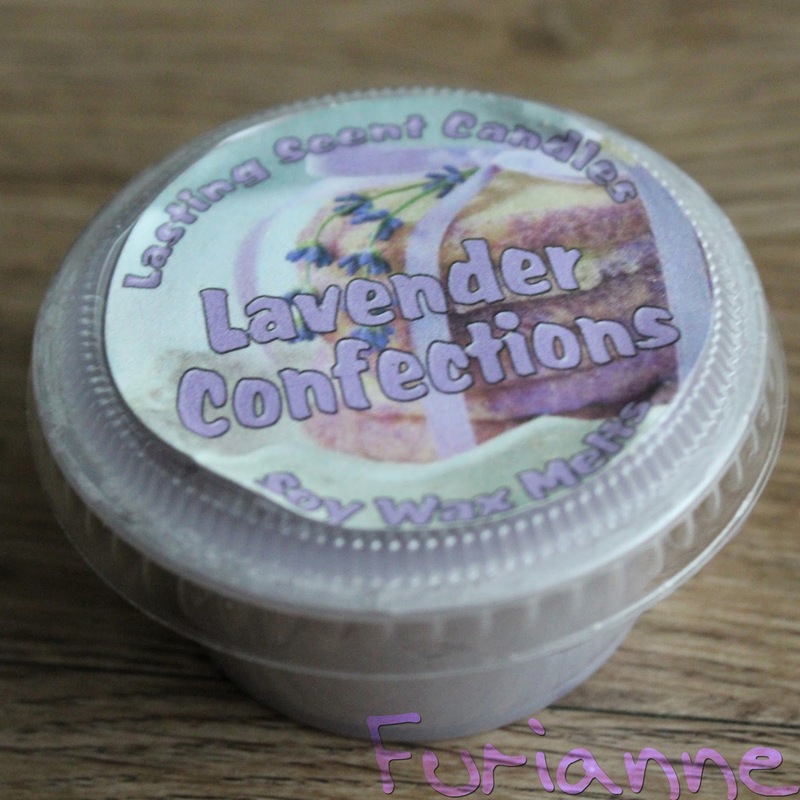 A great blend of sweet creamy bakery and that yummy lavender. Have you tried Bliss? It is along these lines too. One of my favorites. I had to get it in a bakery bag a couple openings ago.